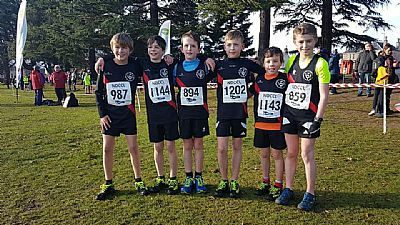 A great final day racing at the Evanton xc in Forres. Good performances throughout all the age groups. Prize giving saw Andrew Baird finish the season with a 100% win record throughout the season and took 1st u11B. 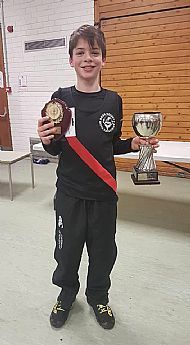 He along with Struan Ellen and Andrew Maclennan took the u11B team trophy. Well done all the u11B who helped with this win too. Danny Mcpake had a strong 2nd half of the season to pull himself into 3rd place overall in the U17M category. 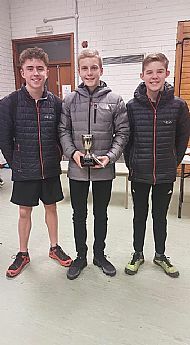 He was also part of the winning u17M team with Alex Ellen and Kyle Sutherland. Then to round things off Adam Maclellan finished 2nd male in u20 category. Well done all and well done all in the kitchen, marshalling and organising things on behalf of the club all day today. You did the club proud.